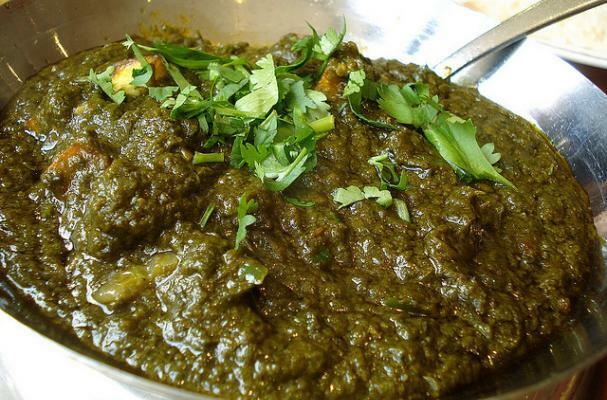 Saag paneer is a delicious Indian vegetable dish made with spinach, mustard greens, and paneer (Indian cheese). This wonderful dish is smooth, creamy, and full of warm spices. Serve saag paneer with fragrant basmati rice and fresh naan. Try something new this Meatless Monday and make saag paneer. I made a dish inspired by saag aloo. I seasoned it with rosemary, basil and paprika, for a change of pace. No cream, but it did have a bit of corn meal for texture. Turned out really yummy!